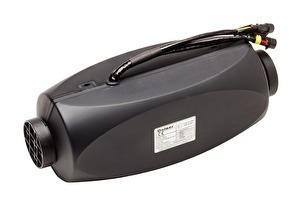 A robust, reliable and quiet diesel air heater with a competitive price. The heater is easy to install and serve. The Calaer series provides continuous heating ensuring a pleasant cabin temperature. It is operated via a step-less thermostatic rotary control and delivers heat between 2 and 4 kW. The heater is supplied together with a mounting kit adapted for either automotive or marine applications. The heater can be upgraded with more sophisticated controllers and ducting kits. Cabin heaters for an affordable comfort in you boat.